MotoGP fans in the States have plenty to smile about this week as they wait in anticipation for the seventh installment of the Grand Prix of the Americas, racing off this weekend at the Circuit of the Americas in Austin, Texas. The three day event starts on Friday 12 April where MotoGp, Moto2, and Moto3 riders will have two free practices. Saturday sees qualifying, while Sunday is race day, with the festival rounded off by the MotoGP race at 14.00 local time. The 5.513km track was designed by Hermann Tilke and joined the calendar for the first time in 2013. The first purpose-built Grand Prix track in the US, the Circuit of the Americas features an impressive 1200m longest straight. The track is also known for its variety, such as a 41m elevation change following the home straight and a series of tight fast straights and hairpin turns which make up the track’s 20 corners. 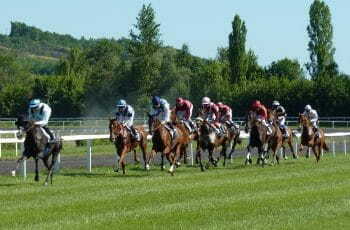 The modern track has a 120,000 capacity and plenty of space for activities, making it a great day out for all involved. Tilke took inspiration from some of racing’s classic tracks and recreated certain aspects, such as Silverton’s famous Maggotts-Becketts-Chapel sequence and Turn Eight at Istanbul. 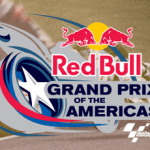 The Red Bull Grand Prix of the Americas races off this weekend at the Circuit of the Americas in Austin, Texas. Undisputed champion of the track Marc Márquez comes into the race in fine form. Márquez holds both the fastest lap at 2’02.135 from 2015, and the circuit record of 2’03.575, achieved in 2014. The Honda rider has won all seven installments of the MotoGP race and comes into this one after an impressive win in Argentina last week. Márquez won by 10 seconds ahead of Valentino Rossi after just missing out on a win to Ducati’s Andrea Dovizioso in the season opener in Qatar last month. Márquez currently leads the overall standings over Dovizioso and will be expecting to extend his lead. Lorenzo Baldassarri leads the Moto2 pack after making it two from two in Argentina. Baldassarri raced a classy race, making a move from fourth with around nine laps left. Moving into second after over taking Marquez and Schrötter, Baldassarri then made his move for the lead with four laps remaining to emerge winner. There was also an impressive podium finish for Australian Remy Gardner. The Moto3 race looks particularly interesting. Spanish rider Jorge Martín won last year’s race, denying Italian Romano Fenati his third successive victory after wins in 2016 and 2017. But he will face stiff competition. Interestingly, omens suggest we could see a first-time winner, as newbies look to upset the veterans. Moto3 has seen first timers win in the last three races, with Kaito Toba winning in Qatar, Jaume Masia in Argentina, and Can Öncü in Spain last year. That was the first time that we’ve seen three first time winners in a row since the sport began, so perhaps we may see four. If you fancy a bet on the event, check out the best betting sites available for MotoGP.